The next three holes will make or break your round. A tough par 5, do you take the water on from the tee a carry of 250 yds? 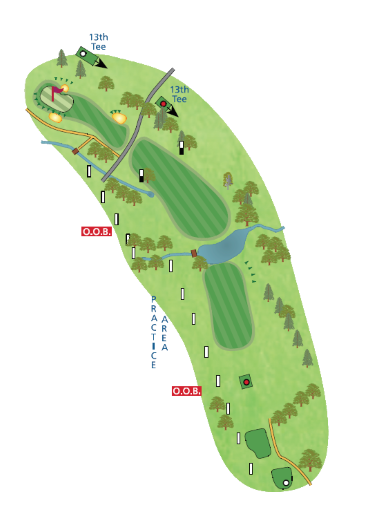 The sensible way to play the hole is an iron off the tee, a long iron or fairway wood over the water for your second to the bunker about 80 yds from the green, and a pitch to the plateau green should yield a par, but 6's and 7's are easy to find on this hole also.